The snow isn't going anywhere for a while so let's see everyone for some indoor Gaelic football sessions over March and April. We have separate fields booked for lads and ladies so if you haven't made your return yet, now is your chance! New and developing players are, as always, more than welcome. Bring some water, runners and $10 cash or card for facility rental. 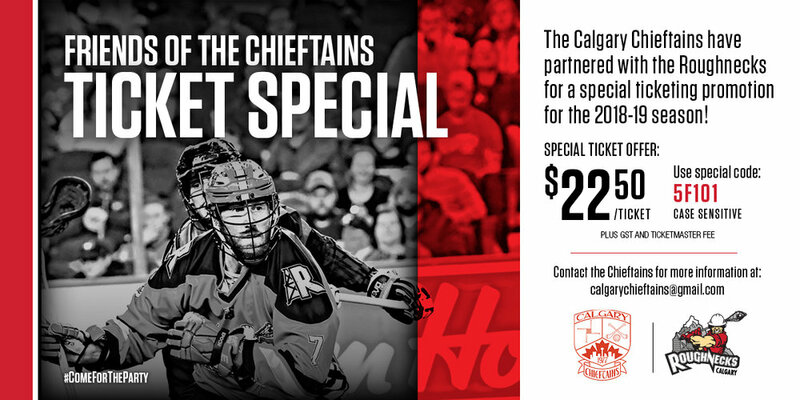 Calgary Chieftains are pumped to be partnering with the Calgary Roughnecks to offer discounted tickets to friends of our club. The discount code can get you tickets for $22.50 (plus booking fees) which is about $20 off the cost of a typical ticket - bargain! The code can be used for the remainder of the season and anyone is welcome to use it. If you've never been to a Roughnecks lacrosse game at the Dome it's definitely a Calgary experience you should have on your bucket list - the beers are cheap, the music is pumping and the atmosphere is epic! Come and try a new sport! 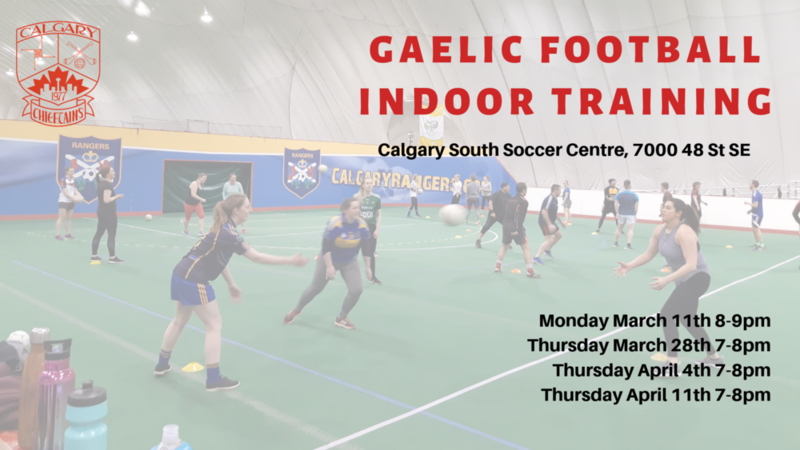 Calgary Chieftains will be hosting a series of Co-Ed introductory sessions where you can learn the fundamental skills of Gaelic Football! Tell your friends that everyone is welcome to give it a go.